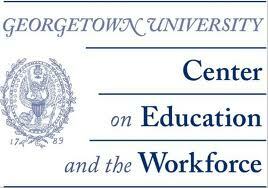 Earlier this year, Georgetown University Center on Education and the Workforce published a study called “What’s it worth? The economic value of college majors”. It’s a US based study, but probably relates fairly well across to Canada, and some other countries. The thing that caught my engineering eye in this study, was that Marine Engineering / Naval Architecture was listed in the top ten for earnings. Listed below, are the “majors”, and their resulting median income in USD. The median income refers to the average income of the highest 75 percentile income and lowest 25 percentile. In regards to Marine Engineering, there is a much wider margin between “25%” stated as 44,000, and “75%” level income stated as 120,000, as oppose to the other in the top ten list. The report fails to highlight the fact that although the 75th percentile make an average 120k per year, it takes a long time to get there, due to the licensing system. This would explain the lower 25th percentile earnings of 40k a year. Typically (my rough average from the numbers in the study) most graduates of other programs jump right into a 55k per year job, whereas Marine Engineers start at 40k or below. Another words, yes, the potential to earn a good wage from the Marine Engineering / Naval Architecture schooling program is good, but getting out of school, is just the beginning of the training. Therefore, caution is in order, to hype these wages. Just looking at the topical earning potential does not give a complete story of the training path and its demands. This unexplained career training load would probably explain why this major is ranked #4 in the least popular despite these fancy earnings potentials. The study also reveals some other facts about a major in Marine Engineering / Naval Architecture. It is at the top of the list for concentration of men – 97% of the program participants were men. It also ranks #3 as the top earning major for Caucasians, and ranks #8 as percentage of working full time, with 95% of graduates holding full time jobs. The study also list Marine Engineers and Naval Architect’s occupation, although once again, I believe these numbers are not quite accurate, due to titles and perceptions of the job. They list as us as working – engineers (?) 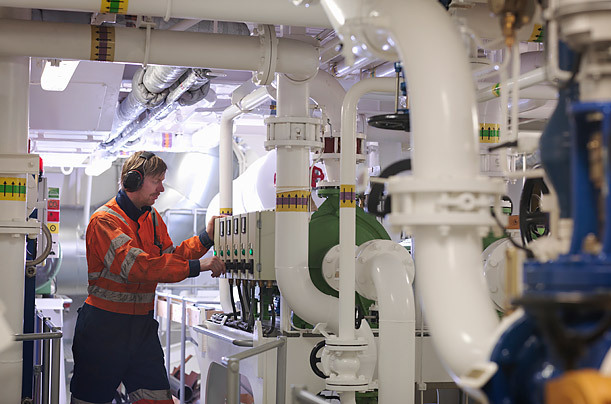 31%, management 22%, working on installations 12% – these three could be interpreted as working on ships or offshore structures – typically what Marine Engineers do. An additional 9% are listed working in offices, and 7% working in sales. Some interesting statistic, but like I believe they don’t paint a clear picture of the full career. Marine Engineers already know, this is a pretty solid job when it comes to returns on your learning investment. You can find the full report here; an interesting read. Submitted by a www.dieselduck.net visitor – thanks! Time Magazine did a “Top Ten” list presentation on this topic, and they had a picture associated with each of the top, and bottom earning majors. 8 of the pictures for the “top majors” were generally positive in nature, and depicted men at work – another picture was of machinery. The only woman featured in the associated “positive” pictures, although hard to tell, is standing in lab attire, next to a man. Meanwhile, eight of the bottom ten occupations predominately featured women in somewhat uninteresting work circumstances. Gotta love that entrenched societal sexism; bit of a sad social commentary. Time Magazine – been around forever, and still has the attitudes to prove it. The picture is from that website. Societal sexism? I'd say if you lack the decision-making skills to not major in 'studio arts', 'visual and performing arts', 'drama and theater arts' or 'theology and religious vocations' maybe you *should* be kept out of the job market. Seriously, what on earth compels people to major in these utterly useless subjects? They're HOBBIES. No wonder college students complain they can't get a job. yeah true enough. drama majors should not be surprise, but I guess its more fun, i hear jersey shore does well with some. I am surprised to see that marine engineer's rank is 7. If you compare the job risks involved, criminalization of seafarers, he should be in top 3. Thank you so much for this information. It helps students to choose a correct career.